Humans have been drinking tea for thousands of years. and conditions, from heart disease to Alzheimer's. Maryland Medical Center and other sources. R&D Unilever in Vlaardingen, the Netherlands. 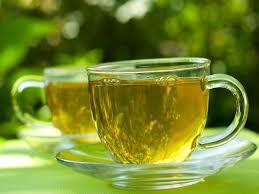 green and black tea slightly raised blood pressure. (in part due to its low caffeine content) and cognition. since apparently I look 16! times more potent an antioxidant than vitamin E.
foods that help fight Alzheimer's). stained cups all over your desk. teas as a mouth wash for four weeks to see results.